Received: September 20, 2018; Revised: September 20, 2018; Accepted: December 1, 2018; Published online: January 31, 2019. It is known that the rapid weight loss is a predisposing factor to develop biliary lithiasis. The physiopathology is related with an oversaturation of bile with cholesterol, bile stasis, and increase in mucin concentration in bile. The incidence of cholelithiasis post gastric bypass is estimated around 37%. Almost 50% developed disease in the first year of monitoring, and 60% in the first 6 months. Meanwhile the patients undergoing sleeve gastrectomy have an incidence of cholelithiasis of 27%. Diverse kinds of protocols exist: prophylactic surgery (simultaneous cholecystectomy and gastric bypass in every patients, whether they have or not cholelithiasis), elective (simultaneous cholecystectomy with conventional gastric bypass in the patients with asymptomatic cholelithiasis), and conventional cholecystectomy only in the presence of cholelithiasis with symptoms. Which way to go is still a topic of discussion among surgeons but the majority agree that prophylactic surgery shouldn’t be an option because the number of patients that will develop symptomatic cholelithiasis is low (around 6% to 8% of them) and this leads to an elevated number of patients exposed to an unnecessary procedure with potential complications. The presence of gallstones in the common bile duct (CBD) although is a rare complication after Roux-en-Y gastric bypass (around 0.2% of the bariatric patients) represents an important challenge due to the anatomical modifications of the gastrointestinal tract. 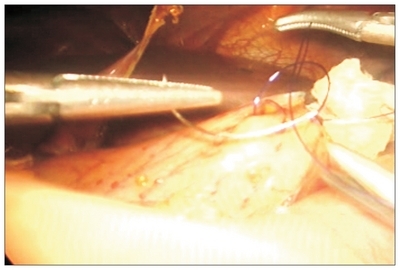 This leads to having to pursue other methods to reach the papillae for the resolution of choledocholithiasis: laparoscopy-assisted transgastric endoscopic retrograde cholangiopancreatography (ERCP), balloon enteroscopy assisted ERCP, percutaneous biliary drainage with subsequent trans fistula treatment and laparoscopic exploration of CBD. Which of these methods should we choose must be based on the surgeon experience, the equipment available and the location of the stone. But whatever the method, a special training is needed on endoscopy, percutaneous surgery and laparoscopy. Compared with the general population, the obese have high levels serum cholesterol, determining a higher incidence of lithiasis, which is further increased in the patient population undergoing a bariatric procedure. The latter is linked to several factors, among which stands out the large weight loss (especially in the first six months after surgery) which favors a significant mobilization of cholesterol from adipose tissue reservoir and reduced production of bile salts and phospholipids to the gallbladder. But other papers have shown that the rate of subsequent cholecystectomy after RYGB is low (6.8%); being the main cause for the subsequent cholecystectomy the uncomplicated biliary disease; while choledocholithiasis and biliary pancreatitis occurred very rarely. It’s estimated that the rate of subsequent cholecystectomy due to biliary colic or gallbladder dyskinesia is 5.3%; due to cholecystitis, 1.0%; choledocholithiasis, 0.2%; and biliary pancreatitis, 0.2%. The presence of gallstones in the common bile duct (CBD) although is a rare complication after RYGB (around 0.2% of the bariatric patients)9 represents an important challenge due to the anatomical modifications of the gastrointestinal tract (Fig. 1). The duodenum remains adjacent to the surgically excluded stomach. Therefore, for the endoscopist, accessing the ampulla is technically very difficult. The endoscope must pass through the mouth, esophagus, gastric pouch, Roux limb, and then return retrograde through the afferent limb to reach the ampulla. This total length may easily exceed 300 cm, making almost impossible for traditional endoscopy access to the papilla to perform an endoscopic retrograde cholangiopancreatography (ERCP). This leads to having to pursue other methods to reach the papillae for the resolution of choledocholithiasis. Which of this methods should we choose, must be based on the surgeon experience, the equipment available and the location of the stone. But whatever the method, a special training is needed on endoscopy, percutaneous surgery and laparoscopy. In this procedure a standard laparoscopic access to the abdominal cavity is performed with insertion of four trocars, then the greater curve of the antrum is mobilized and a gastrotomy and purse-string suture are fashioned on the anterior side of the greater curvature of the gastric remnant near the antrum (Fig. 2). An additional 15 mm or 18 mm trocar must be placed in the left upper quadrant and inserted into the gastrotomy in the center of the purse-string suture (Fig. 3). This purse-string has to be tightly fixed around the trocar to prevent loss of insufflation pressure, and the gastrotomy should be made as lateral as possible along the greater curvature to permit smooth intubation of the pylorus. It’s also recommended to occlude the biliopancreatic limb with an intestinal clamp to prevent over-insufflation of the small bowel that blocks the perioperative visualization. Finally, a side-viewing endoscope is introduced through the 15 mm or 18 mm trocar secured into the gastrotomy, and ERCP can be performed under fluoroscopic guidance (Fig. 4). After the removal of the scope and the trocar, the purse-string is tied and the gastrotomy incision sutured (Fig. 5). In case of patients with gallbladder in situ, delaying the definitive cholecystectomy until ERCP is performed is considered to be the safest option because in case of a difficult cannulation of the papilla, a guidewire can be inserted into the cystic duct to perform a rendezvous technique in order to achieve the cannulation. In this technique the guidewire that was inserted through the cystic duct is then moved into the main biliary duct and passed through the papilla. 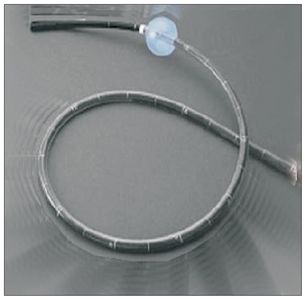 Therefore, the flexible wire is taken by the endoscopist and used as a guide to enter the papilla. Performance of the LAT-ERCP technique is influenced by the presence of postoperative adhesions, which renders the transgastric access more difficult, sometimes being necessary to perform a mini laparotomy to achieve the transgastric access. This is expected in case of a history of open surgery, multiple laparoscopic interventions, and previous peritonitis or abscess formation. 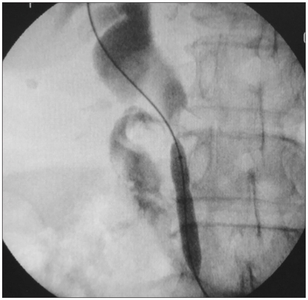 The second option that we have to treat choledocholithiasis in patients with RYGB is the BEA-ERCP. The major advantage of balloon-assisted over conventional enteroscopy is the ability to reduce loops of small bowel which facilitates advancement of the endoscope in patients after Roux-en-Y reconstruction. In patients with Roux-en-Y anatomy, success rates varying from 60% to 90% for reaching the biliopancreatic limb, and successful ERCP ranging from 46 tom 80% have been reported,53,58–60 clearly inferior to the success rate of the LAT-ERCP. 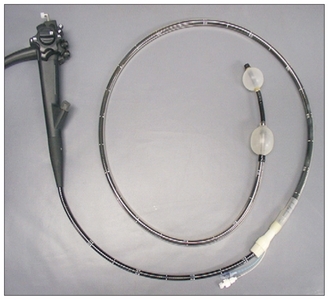 The devices that are used for the BEA-ERCP can consist in a single or double balloon system (Fig. 6, 7). Due to the previously described BEA-ERCP should not be consider as a first option when treating choledocholithiasis, especially if the physician is not an expert endoscopist. And if choledocholithiasis coexist with cholelithiasis, considering that the gallbladder will be removed it is recommended a laparoscopic approach (whether with a full laparoscopic resolution with CBD exploration or with a LAT-ERCP). The first step of the procedure consist on an ultrasound-guided puncture of the intrahepatic bile duct by using a 22 G Chiba needle (Fig. 10), and then a percutaneous transhepatic cholangiogram should be performed to confirm the presence, location, number and size of stones (Fig. 11). The choice whether to use a left-sided sub-xyphoid approach or a right-sided subcostal or intercostal approach must be based on individual and anatomic considerations, such as the position of the liver, bile duct anatomy (as seen on pre-procedural imaging) and number, position, and size of the bile duct stones. Once we gain access to the biliary system with the Chiba needle, a guide wire must be introduced and by using Seldinger technique an 8 Fr or 10 Fr biliary drainage must be placed (Fig. 12). If the stone size exceeded 10 mm, mechanical lithotripsy with Dormia basket is recommended.82 The stone fragments are then evacuated into the duodenum by using the balloon catheter or Dormia basket (Fig. 14). When all the stones seem to have been extracted, cholangiography must be performed to confirm complete stone clearance. Then a biliary drainage is placed in the CBD. After approximately 24 hours later a cholangiography must be performed to confirm CBD clearance and if so, the external drain is removed. If residual stones are found, the procedure must be repeated until all stones are removed. The success rate reported with this approach varies between 93%–96% and the complications between 4.7%–6.7%.82,85–87 The complications described include: hemobilia, pancreatitis, cholangitis, pleural effusion due to a trans pleural biliary drainage and bile peritonitis due to fistula disruption. It is recommended to try first a transcystic approach to treat the stones. 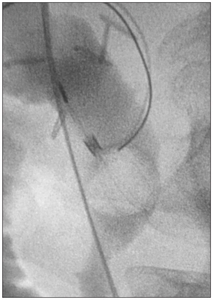 A technique similar to the percutaneous technique can be performed, and by introducing a percutaneous transluminal angioplasty balloon catheter through the cystic duct the sphincter is dilated and then, with the same balloon the stone is pushed to the duodenum. It is also possible to do this maneuver with a Dormia basket through the cystic duct (Fig. 15). If this fails, one should consider to open the CBD and perform an exploration (Fig. 16). In conlusion, with the set of therapeutic tools mentioned previously one should be able to face the problem of the choledocholithiasis. A proper training is needed in laparoscopic surgery, endoscopy and percutaneous surgery due to the high technical difficulty of treating CBD stones in patients with Roux-en-Y anatomy. Which path to follow should be based on details of every case and personal experience with every mentioned technique, and in case of lack of personal experience is strongly recommended to derivate this patients to a specialist. Fig. 3. 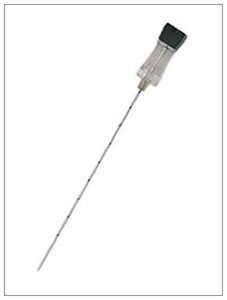 Placement of a 15 mm trocar into the gastric remnant through the gastrostomy. Fig. 4. Endoscopic retrograde cholangiopancreatography with sphincterotomy and stone extraction. Fig. 11. 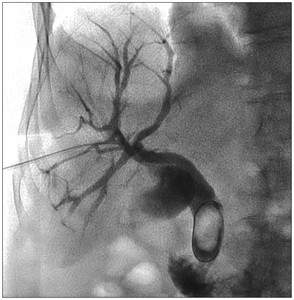 Percutaneous transhepatic cholangiogram showing a big stone on distal common bile duct. Fig. 12. Percutaneous biliary drainage with “pig-tail” in duodenum. Fig. 15. 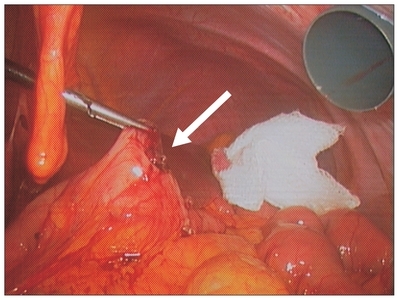 (A, B) A stone being pulled out with a Dormia basket through the cystic duct. Fig. 16. (A, B) A stone being removed by using a Dormia basket through an incision on the common bile duct. Fig. 17. 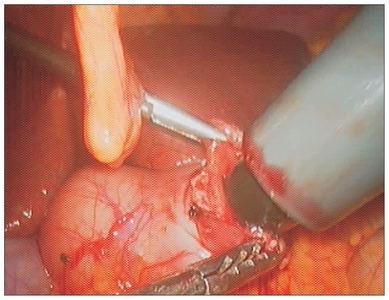 Primary closure of the common bile duct after laparoscopic exploration. Taha MI, Freitas WR, Puglia CR, Lacombe A, Malheiros CA. [Predictive factors for cholelithiasis in the morbidly obese submitted to Roux-en-Y gastroplasty]. Rev Assoc Med Bras (1992). 2006;52:430-4. Portuguese. Sanchez A, Rodriguez O, Bellorín O, Sánchez R, Benítez G. Laparoscopic common bile duct exploration in patients with gallstones and choledocholithiasis. JSLS. 2010;14:246-50. Nougou A, Suter M. Almost routine prophylactic cholecystectomy during laparo-scopic gastric bypass is safe. Obes Surg. 2008;18:535-9. Liem RK, Niloff PH. Prophylactic cholecystectomy with open gastric bypass operation. Obes Surg. 2004;14:763-5. Tucker ON, Fajnwaks P, Szomstein S, Rosenthal RJ. Is concomitant cholecystectomy necessary in obese patients undergoing laparoscopic gastric bypass surgery?. Surg Endosc. 2008;22:2450-4. Escalona A, Boza C, Muñoz R, Pérez G, Rayo S, Crovari F, et al. Routine preopera-tive ultrasonography and selective cholecystectomy in laparoscopic Roux-en-Y gastric bypass. Why not?. Obes Surg. 2008;18:47-51. Collins C, Maguire D, Ireland A, Fitzgerald E, O’Sullivan GC. A prospective study of common bile duct calculi in patients undergoing laparoscopic cholecystectomy: natural history of choledocholithiasis revisited. Ann Surg. 2004;239:28-33. Worni M, Guller U, Shah A, Gandhi M, Shah J, Rajgor D, et al. Cholecystectomy concomitant with laparoscopic gastric bypass: a trend analysis of the nationwide inpatient sample from 2001 to 2008. Obes Surg. 2012;22:220-9. Warschkow R, Tarantino I, Ukegjini K, Beutner U, Güller U, Schmied BM, et al. Concomitant cholecystectomy during laparoscopic Roux-en-Y gastric bypass in obese patients is not justified: a meta-analysis. Obes Surg. 2013;23:397-407. Moreels TG, Roth B, Vandervliet EJ, Parizel PM, Dutré J, Pelckmans PA. The use of the double-balloon enteroscope for endoscopic retrograde cholangiopancreatography and biliary stent placement after Roux-en-Y hepaticojejunostomy. Endoscopy. 2007;39(Suppl 1):E196-7. Johnson AG, Hosking SW. Appraisal of the management of bile duct stones. Br J Surg. 1987;74:555-60. Ibarra E, Pascowsk M, Souza JM, Vega E, Duza G, Palermo M. Litiasis vesicular en pacientes sometidos a cirugia bariátrica: incidencia posquirúrgica según técnica. Pren Méd Argent. 2015;101:471-6. Kuga R, Furuya CK, Hondo FY, Ide E, Ishioka S, Sakai P. ERCP using double-balloon enteroscopy in patients with Roux-en-Y anatomy. Dig Dis. 2008;26:330-5. García-García L, Lanciego C. Percutaneous treatment of biliary stones: sphincteroplasty and occlusion balloon for the clearance of bile duct calculi. AJR Am J Roentgenol. 2004;182:663-70. Gustafsson U, Benthin L, Granström L, Groen AK, Sahlin S, Einarsson C. Changes in gallbladder bile composition and crystal detection time in morbidly obese subjects after bariatric surgery. Hepatology. 2005;41:1322-8. Everhart JE. Contributions of obesity and weight loss to gallstone disease. Ann Intern Med. 1993;119:1029-35. Szulman C, Giménez M, Sierre S. Antegrade papillary balloon dilation for extrahepatic bile duct stone clearance: lessons learned from treating 300 patients. J Vasc Interv Radiol. 2011;22:346-53. Caddy GR, Tham TC. Gallstone disease: symptoms, diagnosis and endoscopic management of common bile duct stones. Best Pract Res Clin Gastroenterol. 2006;20:1085-101. Acosta MJ, Rossi R, Ledesma CL. The usefulness of stool screening for diagnosing cholelithiasis in acute pancreatitis. A description of the technique. Am J Dig Dis. 1977;22:168-72. Acosta JM, Ledesma CL. Gallstone migration as a cause of acute pancreatitis. N Engl J Med. 1974;290:484-7. D’Hondt M, Sergeant G, Deylgat B, Devriendt D, Van Rooy F, Vansteenkiste F. Prophylactic cholecystectomy, a mandatory step in morbidly obese patients undergoing laparoscopic Roux-en-Y gastric bypass?. J Gastrointest Surg. 2011;15:1532-6. Phillips E, Carrolls B. New techniques for treatment of common bile duct stones enccountered during laparoscopic cholecystectomy. Prob Gen Surg. 1991;8:387-95. Costi R, Mazzeo A, Tartamella F, Manceau C, Vacher B, Valverde A. Cholecystocholedocholithiasis: a case-control study comparing the short- and long-term outcomes for a “laparoscopy-first” attitude with the outcome for sequential treatment (systematic endoscopic sphincterotomy followed by laparoscopic cholecystectomy). Surg Endosc. 2010;24:51-62. Macadam RC, Goodall RJ. Long-term symptoms following endoscopic sphincter-otomy for common bile duct stones. Surg Endosc. 2004;18:363-6. Spahn TW, Grosse-Thie W, Spies P, Mueller MK. Treatment of choledocholithiasis following Roux-en-Y hepaticojejunostomy using double-balloon endoscopy. Digestion. 2007;75:20-1. Reinders JS, Kortram K, Vlaminckx B, van Ramshorst B, Gouma DJ, Boerma D. Incidence of bactobilia increases over time after endoscopic sphincterotomy. Dig Surg. 2011;28:288-92. Tanaka M, Takahata S, Konomi H, Matsunaga H, Yokohata K, Takeda T, et al. Long-term consequence of endoscopic sphincterotomy for bile duct stones. Gastrointest Endosc. 1998;48:465-9. Hakamada K, Sasaki M, Endoh M, Itoh T, Morita T, Konn M. Late development of bile duct cancer after sphincteroplasty: a ten- to twenty-two-year follow-up study. Surgery. 1997;121:488-92. Patel JA, Patel NA, Shinde T, Uchal M, Dhawan MK, Kulkarni A, et al. Endoscopic retrograde cholangiopancreatography after laparoscopic Roux-en-Y gastric bypass: a case series and review of the literature. Am Surg. 2008;74:689-93. discussion 693–4. Strasberg SM, Hertl M, Soper NJ. An analysis of the problem of biliary injury during laparoscopic cholecystectomy. J Am Coll Surg. 1995;180:101-25. Parlak E, Ciçek B, Dişibeyaz S, Cengiz C, Yurdakul M, Akdoğan M, et al. Endoscopic retrograde cholangiography by double balloon enteroscopy in patients with Roux-en-Y hepaticojejunostomy. Surg Endosc. 2010;24:466-70. Poulose BK, Arbogast PG, Holzman MD. National analysis of in-hospital resource utilization in choledocholithiasis management using propensity scores. Surg Endosc. 2006;20:186-90. Sugiyama M, Atomi Y. Endoscopic ultrasonography for diagnosing choledocholithiasis: a prospective comparative study with ultrasonography and computed tomography. Gastrointest Endosc. 1997;45:143-6. Moreels TG, Hubens GJ, Ysebaert DK, Op de Beeck B, Pelckmans PA. Diagnostic and therapeutic double-balloon enteroscopy after small bowel Roux-en-Y reconstructive surgery. Digestion. 2009;80:141-7. Amouyal P, Amouyal G, Lévy P, Tuzet S, Palazzo L, Vilgrain V, et al. Diagnosis of choledocholithiasis by endoscopic ultrasonography. Gastroenterology. 1994;106:1062-7. Attasaranya S, Fogel EL, Lehman GA. Choledocholithiasis, ascending cholangitis, and gallstone pancreatitis. Med Clin North Am. 2008;92:925-60. Petelin JB. Laparoscopic common bile duct exploration. Surg Endosc. 2003;17:1705-15. Corbitt JD, Leonetti LA. One thousand and six consecutive laparoscopic intraoperative cholangiograms. JSLS. 1997;1:13-6. Hanif F, Ahmed Z, Samie MA, Nassar AH. Laparoscopic transcystic bile duct exploration: the treatment of first choice for common bile duct stones. Surg Endosc. 2010;24:1552-6. Mandry AC, Bun M, Ued ML, Iovaldi ML, Capitanich P. [Laparoscopic treatment of common bile duct lithiasis associated with gallbladder lithiasis]. Cir Esp. 2008;83:28-32. Spanish. Topal B, Aerts R, Penninckx F. Laparoscopic common bile duct stone clearance with flexible choledochoscopy. Surg Endosc. 2007;21:2317-21. Miller K, Hell E, Lang B, Lengauer E. Gallstone formation prophylaxis after gastric restrictive procedures for weight loss: a randomized double-blind placebo-controlled trial. Ann Surg. 2003;238:697-702. Uy MC, Talingdan-Te MC, Espinosa WZ, Daez ML, Ong JP. Ursodeoxycholic acid in the prevention of gallstone formation after bariatric surgery: a meta-analysis. Obes Surg. 2008;18:1532-8. Rojas-Ortega S, Arizpe-Bravo D, Marín López ER, Cesin-Sánchez R, Roman GR, Gómez C. Transcystic common bile duct exploration in the management of patients with choledocholithiasis. J Gastrointest Surg. 2003;7:492-6. Rios H. Tratamiento de la coledocolitiasis en relación a colecistectomía por laparoscopía. Rev Chil Cir. 1995;47:13-21. Pérez G, García C, Escalona A, Benavides C, Jarufe N, Crovari F, et al. Estudio prospectivo controlado de uso de endoprótesis biliar o sonda T como descompresión luego de exploración abierta de la vía biliar. Rev Chil Cir. 2004;56:160-5. Wu X, Yang Y, Dong P, Gu J, Lu J, Li M, et al. Primary closure versus T-tube drainage in laparoscopic common bile duct exploration: a meta-analysis of randomized clinical trials. Langenbecks Arch Surg. 2012;397:909-16. Hungness ES, Soper NJ. Management of common bile duct stones. J Gastrointest Surg. 2006;10:612-9. Schreiner MA, Chang L, Gluck M, Irani S, Gan SI, Brandabur JJ, et al. Laparoscopy-assisted versus balloon enteroscopy-assisted ERCP in bariatric post-Roux-en-Y gastric bypass patients. Gastrointest Endosc. 2012;75:748-56. Lopes TL, Clements RH, Wilcox CM. 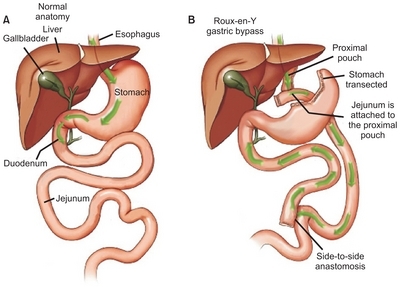 Laparoscopy-assisted ERCP: experience of a high-volume bariatric surgery center (with video). Gastrointest Endosc. 2009;70:1254-9. Bertin PM, Singh K, Arregui ME. Laparoscopic transgastric endoscopic retrograde cholangiopancreatography (ERCP) after gastric bypass: case series and a description of technique. Surg Endosc. 2011;25:2592-6. Waage A, Strömberg C, Leijonmarck CE, Arvidsson D. Long-term results from laparoscopic common bile duct exploration. Surg Endosc. 2003;17:1181-5. Chu YC, Yang CC, Yeh YH, Chen CH, Yueh SK. Double-balloon enteroscopy application in biliary tract disease-its therapeutic and diagnostic functions. Gastrointest Endosc. 2008;68:585-91. Tekola B, Wang AY, Ramanath M, Burnette B, Ellen K, Schirmer BD, et al. Percutaneous gastrostomy tube placement to perform transgastrostomy endoscopic retrograde cholangiopancreaticography in patients with Roux-en-Y anatomy. Dig Dis Sci. 2011;56:3364-9. Gharaibeh KI, Heiss HA. Biliary leakage following T-tube removal. Int Surg. 2000;85:57-63. Snauwaert C, Laukens P, Dillemans B, Himpens J, De Looze D, Deprez PH, et al. Laparoscopy-assisted transgastric endoscopic retrograde cholangiopancreatography in bariatric Roux-en-Y gastric bypass patients. Endosc Int Open. 2015;3:E458-63. Benavides C, Burmeister R, Apablaza S, León J, Hernández R. [Déficit severo de líquido extracelular como complicación de la coledocostomía]. Rev Chil Cir. 1992;44:304-7. Spanish. Wang AY, Sauer BG, Behm BW, Ramanath M, Cox DG, Ellen KL, et al. Single-balloon enteroscopy effectively enables diagnostic and therapeutic retrograde cholangiography in patients with surgically altered anatomy. Gastrointest Endosc. 2010;71:641-9. Adler DG, Baron TH, Davila RE, Egan J, Hirota WK, Leighton JA, et al. ASGE guideline: the role of ERCP in diseases of the biliary tract and the pancreas. Gastrointest Endosc. 2005;62:1-8. Yamamoto H, Sekine Y, Sato Y, Higashizawa T, Miyata T, Iino S, et al. Total enteroscopy with a nonsurgical steerable double-balloon method. Gastrointest Endosc. 2001;53:216-20. Emmett DS, Mallat DB. 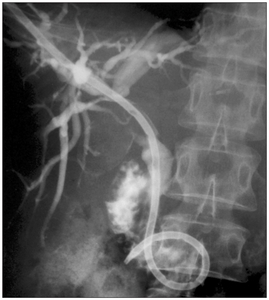 Double-balloon ERCP in patients who have undergone Roux-en-Y surgery: a case series. Gastrointest Endosc. 2007;66:1038-41. Mensink PB, Haringsma J, Kucharzik T, Cellier C, Pérez-Cuadrado E, Mönkemüller K, et al. Complications of double balloon enteroscopy: a multicenter survey. Endoscopy. 2007;39:613-5. Zollinger RM. The atlas of surgical operations: Elliott Carr Cutler and Robert Zollinger. Am J Surg. 2003;186:211-6. Hintze RE, Adler A, Veltzke W, Abou-Rebyeh H. Endoscopic access to the papilla of Vater for endoscopic retrograde cholangiopancreatography in patients with billroth II or Roux-en-Y gastrojejunostomy. Endoscopy. 1997;29:69-73. Koornstra JJ. Double balloon enteroscopy for endoscopic retrograde cholangiopancreaticography after Roux-en-Y reconstruction: case series and review of the literature. Neth J Med. 2008;66:275-9. Aabakken L, Bretthauer M, Line PD. Double-balloon enteroscopy for endoscopic retrograde cholangiography in patients with a Roux-en-Y anastomosis. Endoscopy. 2007;39:1068-71. Wright BE, Cass OW, Freeman ML. ERCP in patients with long-limb Roux-en-Y gastrojejunostomy and intact papilla. Gastrointest Endosc. 2002;56:225-32. Gostout CJ, Bender CE. Cholangiopancreatography, sphincterotomy, and common duct stone removal via Roux-en-Y limb enteroscopy. Gastroenterology. 1988;95:156-63. Elton E, Hanson BL, Qaseem T, Howell DA. Diagnostic and therapeutic ERCP using an enteroscope and a pediatric colonoscope in long-limb surgical bypass patients. Gastrointest Endosc. 1998;47:62-7. Joyce AM, Ahmad NA, Beilstein MC, Kochman ML, Long WB, Baron T, et al. Multicenter comparative trial of the V-scope system for therapeutic ERCP. Endoscopy. 2006;38:713-6. 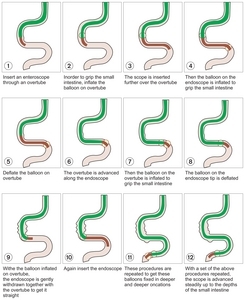 Neumann H, Fry LC, Meyer F, Malfertheiner P, Monkemuller K. Endoscopic retrograde cholangiopancreatography using the single balloon enteroscope technique in patients with Roux-en-Y anastomosis. Digestion. 2009;80:52-7. Saleem A, Baron TH, Gostout CJ, Topazian MD, Levy MJ, Petersen BT, et al. Endoscopic retrograde cholangiopancreatography using a single-balloon enteroscope in patients with altered Roux-en-Y anatomy. Endoscopy. 2010;42:656-60. Hartmann D, Eickhoff A, Tamm R, Riemann JF. Balloon-assisted enteroscopy using a single-balloon technique. Endoscopy. 2007;39(Suppl 1):E276. Gimenez ME, Berkowski D, Cordoba P [Obstrucción biliar benigna]. In: Giménez M, Guimarães M, Sierre S, Oleaga J, editors. Manual de técnicas intervencionistas guiadas por imágenes. Buenos Aires: Ediciones Journal 2011:119-38. Spanish..
Baron TH. Double-balloon enteroscopy to facilitate retrograde PEG placement as access for therapeutic ERCP in patients with long-limb gastric bypass. Gastrointest Endosc. 2006;64:973-4. Ross AS, Dye C. Double-balloon enteroscopy to facilitate retrograde PEG placement as access for therapeutic ERCP in patients with long-limb gastric bypass. Gastrointest Endosc. 2007;66:419. author reply 420. Martinez J, Guerrero L, Byers P, Lopez P, Scagnelli T, Azuaje R, et al. Endoscopic retrograde cholangiopancreatography and gastroduodenoscopy after Roux-en-Y gastric bypass. Surg Endosc. 2006;20:1548-50. Ceppa FA, Gagné DJ, Papasavas PK, Caushaj PF. Laparoscopic transgastric endoscopy after Roux-en-Y gastric bypass. Surg Obes Relat Dis. 2007;3:21-4. Feitoza AB, Baron TH. Endoscopy and ERCP in the setting of previous upper GI tract surgery. Part I: reconstruction without alteration of pancreaticobiliary anatomy. Gastrointest Endosc. 2001;54:743-9. Kint JF, van den Bergh JE, van Gelder RE, Rauws EA, Gouma DJ, van Delden OM, et al. Percutaneous treatment of common bile duct stones: results and complications in 110 consecutive Patients. Dig Surg. 2015;32:9-15. Pontiroli AE, Morabito A. Long-term prevention of mortality in morbid obesity through bariatric surgery: a systematic review and meta-analysis of trials performed with gastric banding and gastric bypass. Ann Surg. 2011;253:484-7. Veyrie N, Servajean S, Berger N, Loire P, Basdevant A, Bouillot JL. [Gallbladder complications after bariatric surgery]. Gastroenterol Clin Biol. 2007;31:378-84. French. Gil S, de la Iglesia P, Verdú JF, de España F, Arenas J, Irurzun J. Effectiveness and safety of balloon dilation of the papilla and the use of an occlusion balloon for clearance of bile duct calculi. AJR Am J Roentgenol. 2000;174:1455-60. Buchwald H, Oien DM. Metabolic/bariatric surgery Worldwide 2008. Obes Surg. 2009;19:1605-11. Wattchow DA, Hall JC, Whiting MJ, Bradley B, Iannos J, Watts JM. Prevalence and treatment of gall stones after gastric bypass surgery for morbid obesity. Br Med J (Clin Res Ed). 1983;286:763. Griffen WO, Bivins BA, Bell RM, Jackson KA. Gastric bypass for morbid obesity. World J Surg. 1981;5:817-22. Mason EE, Ito C. Gastric bypass in obesity. Surg Clin North Am. 1967;47:1345-51.